Happy Friday! We have a bunch of news to share from the Sleepy Limbs world. First off, check out the premiere of the "Float On" thanks to Brooklyn Vegan! The guys also recently announced tour dates. 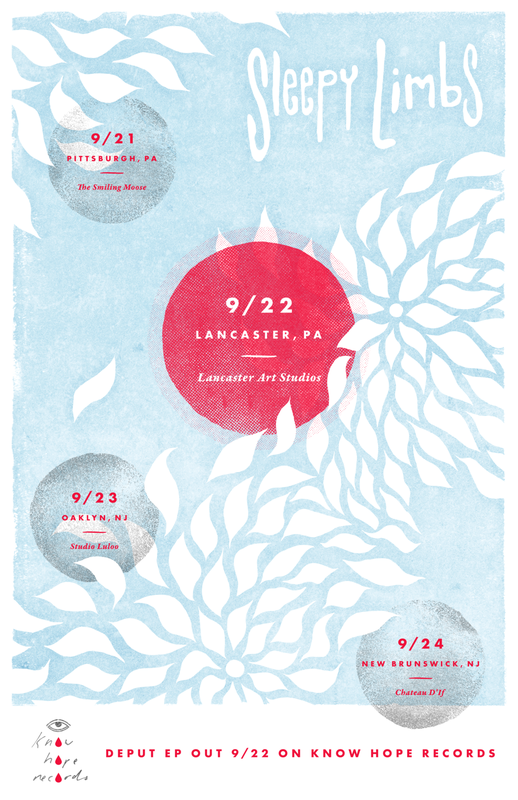 They'll be doing a short record release tour through PA and NJ. Later in the fall Sleepy Limbs and Selfhelpme will be heading out with The Promise Hero. Sleepy Limbs self-titled debut EP is out on September 22, 2017. You can pre-order the record over at E-Store now!